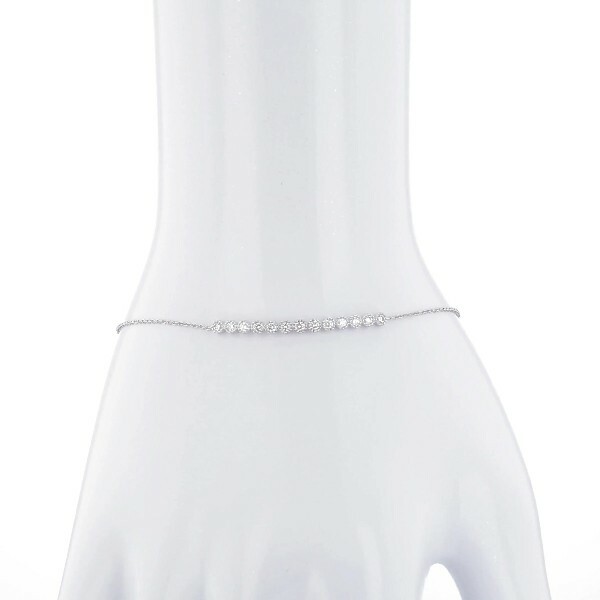 Our diamond milgrain bar bracelet is so versatile you'll reach for it every day. Round brilliant-cut diamonds are set along a gently curved bar crafted in 14k white gold with milgrain edge details. The cable chain bracelet can be worn at 6, 6.5, or 7 inches for versatility.